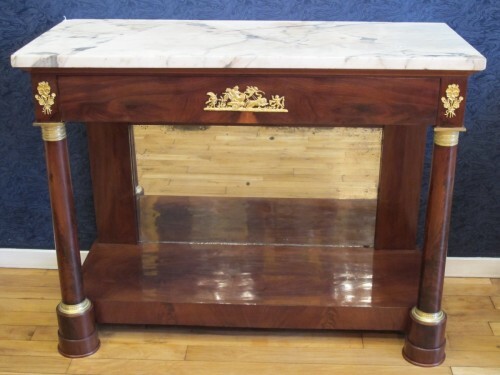 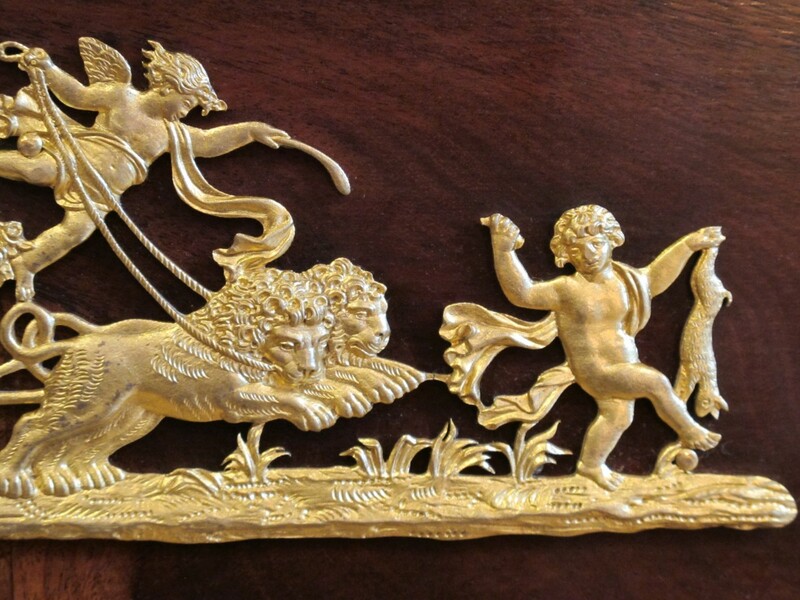 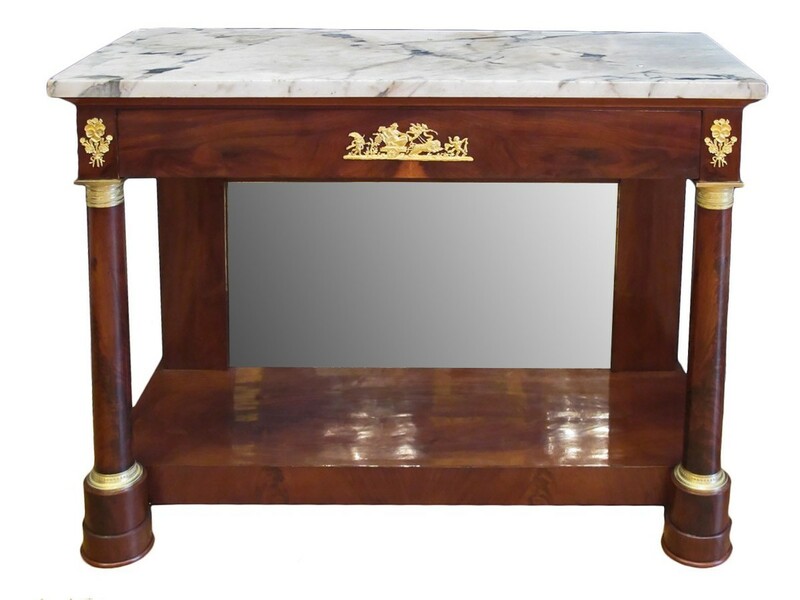 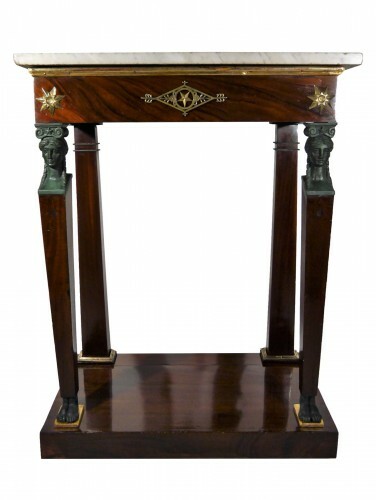 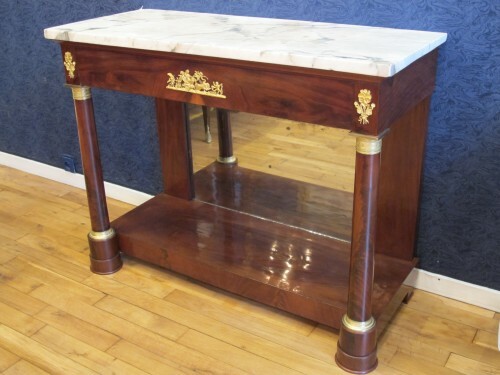 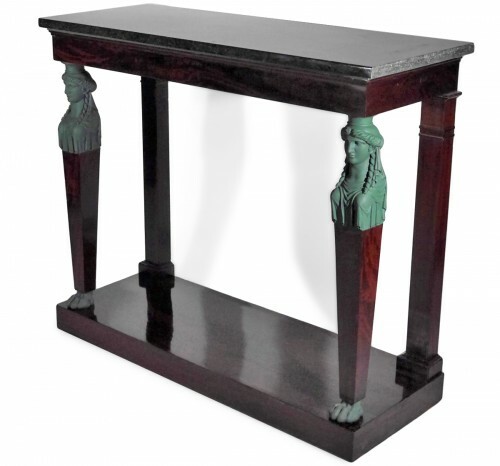 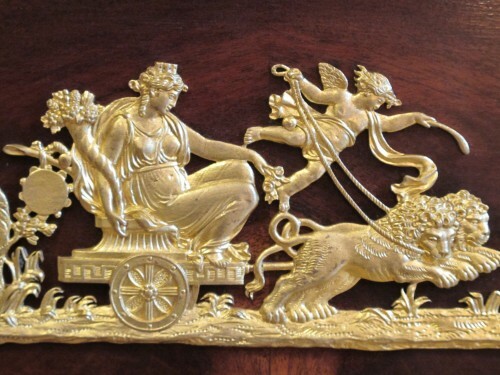 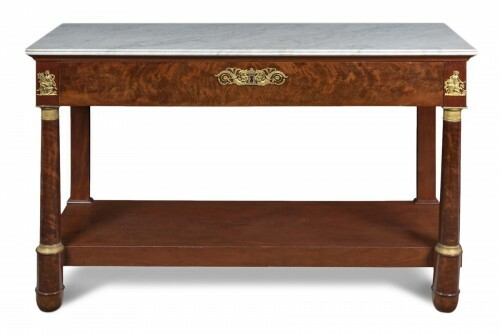 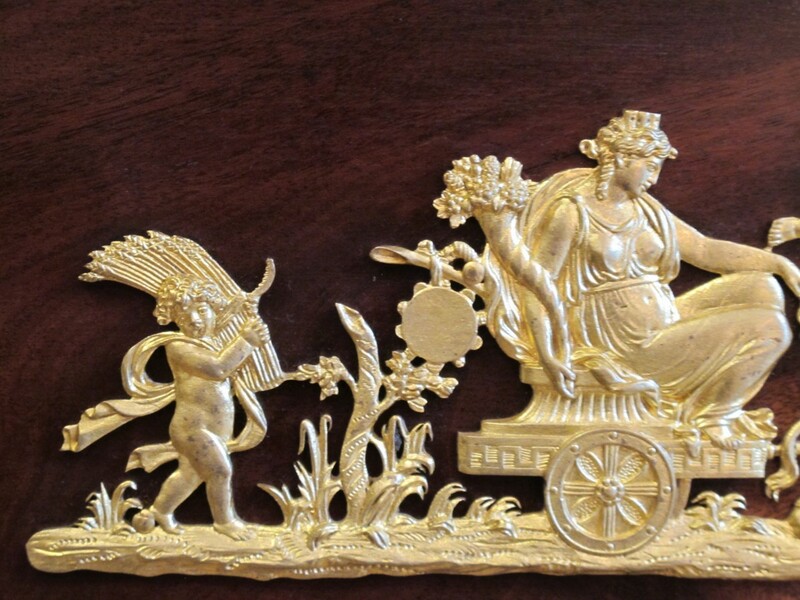 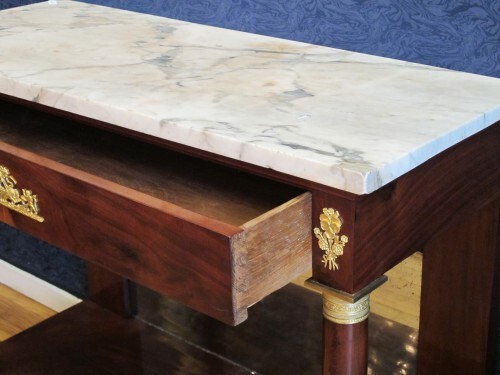 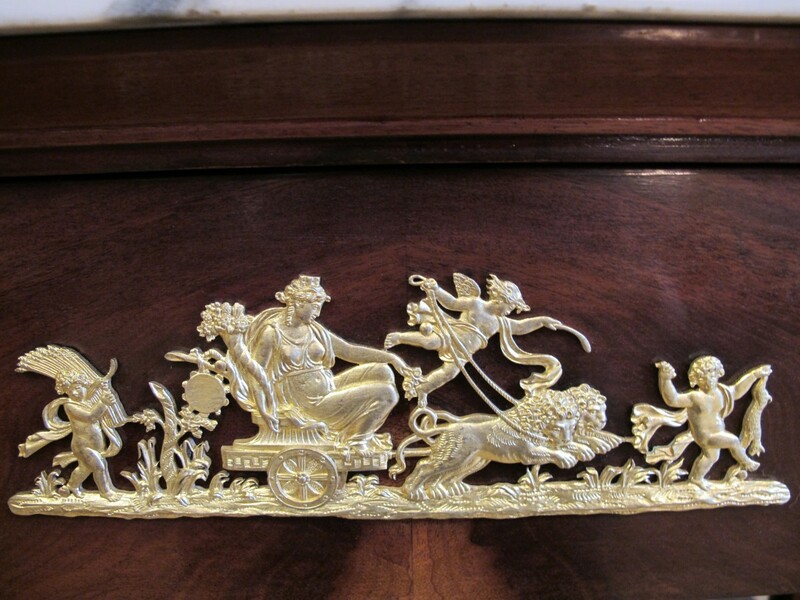 Mahagony console table on a plinth rectangular base with a rectangular marble de Boulogne called Napoleon's marbre top above a drawer decorated by a representation of the godess Ceres sitting on her chariot drawn by two lions. 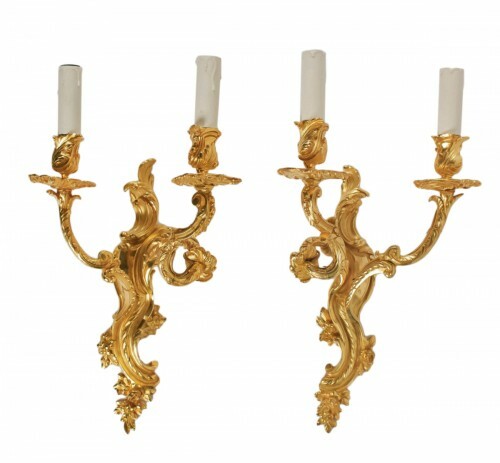 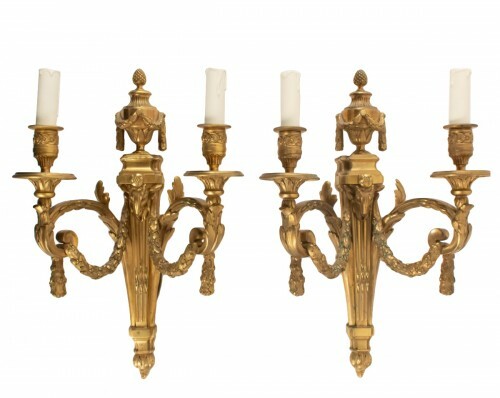 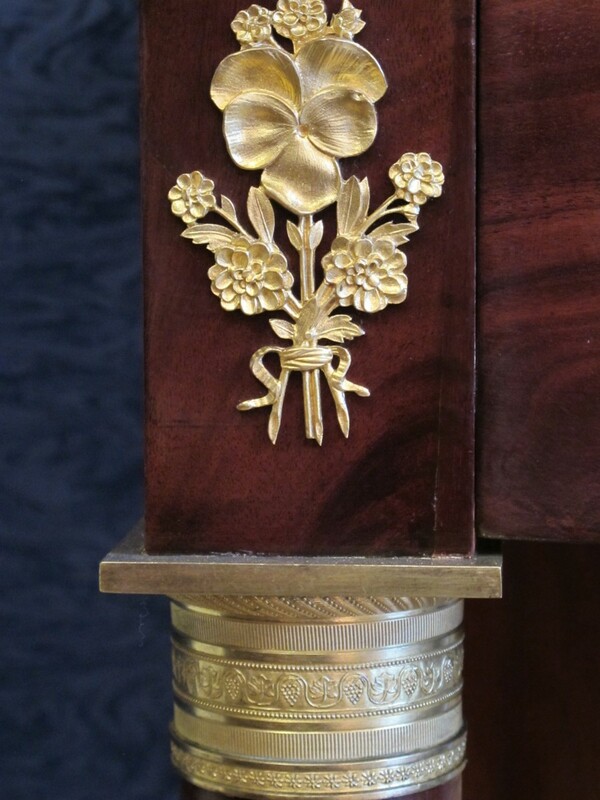 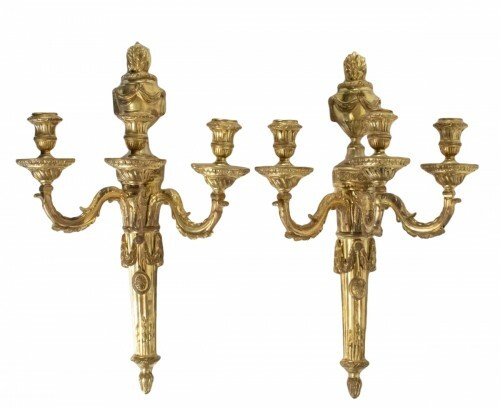 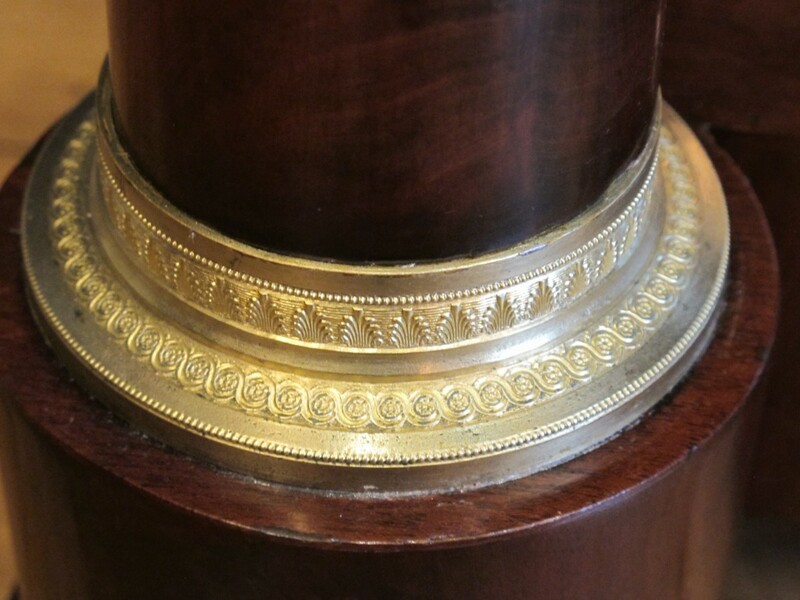 Chiseled gilt bronze ornamentation. 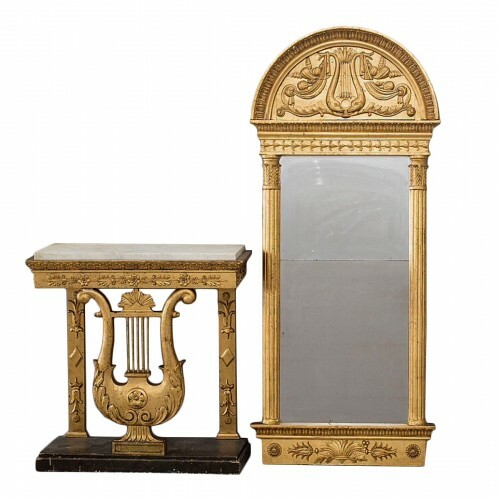 Columns as a front support, a mirror behind.